I had wanted to visit Kingston upon Hull for quite a while and last year I finally managed to mobilise myself for a trip. Now, people vaguely familiar with the UK might ask why on earth would I want to go to Hull (as it is often called for short). Others may ask why would anyone be surprised at someone wanting to go to Hull. As an explanation for the second group, let’s just say that Hull has a reputation similar to that of Cleveland in the US or, I don’t know, let’s say Radom, in my native Poland. Small to mid-sized cities with a declining industrial base, social problems and not much by way of tourist attractions. So why did I go? 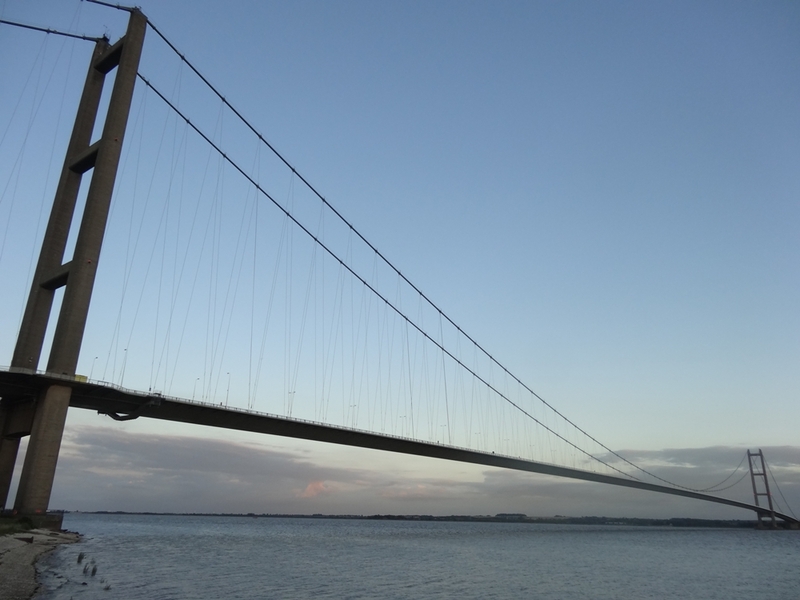 Here I have to admit that my primary reason to head that way was the spectacular Humber Bridge rather than the city of Hull itself. Being a road and infrastructure geek I’m always fascinated by the big bridges and as bridges goes this one is pretty spectacular. At 2200 meters it was the longest single-span suspension bridge in the world when it opened in 1981 and is still in the world top 10 (currently at seventh place). But going just to see the bridge would be too weird even for me so with my girlfriend we planned a whole weekend trip. It started on a glorious sunny day with a drive from London, across the agricultural heartland of East Anglia, to Lincoln, with its spectacular Gothic cathedral. The city was on our way towards the Humber and we couldn’t really skip it as I like big Gothic cathedrals almost as much as I do bridges. 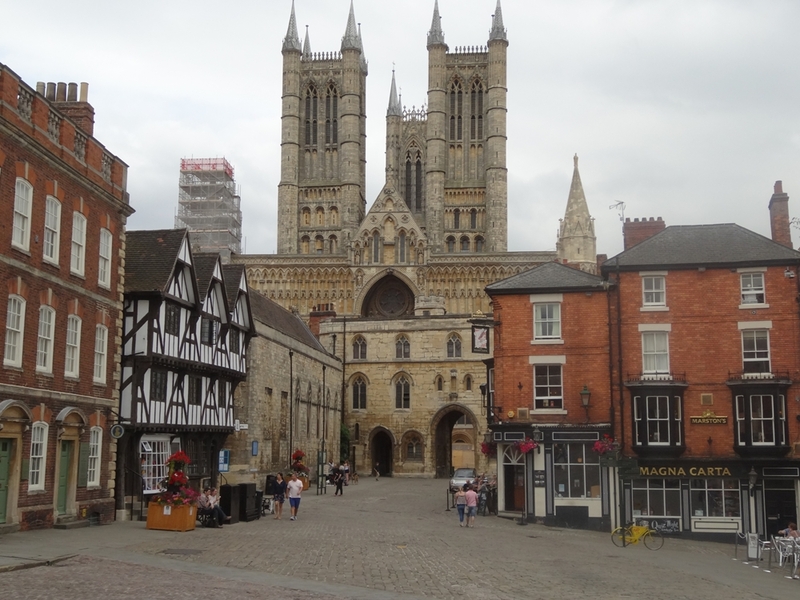 Located on a hill Lincoln Cathedral is absolutely huge (third largest in Britain in floor space, after St Paul’s and York Minster) and completely dominates the historic centre of Lincoln. For 238 years (1311–1549) it was apparently the tallest building in the world but then its spire collapsed and wasn’t rebuilt. Apart from the size I really liked many of the classic Gothic motifs like grotesque gargoyles on the outside and small sculptures inside, often hidden at the bases of the immense pointed arches or at their tops. Gothic is definitely one of my favourite architectural styles and we really enjoyed wandering around the cathedral. My only regret is that we couldn’t tour the roof or the tower as they were both fully booked for the day. Well, at least we have a reason to come back to this amazing cathedral. 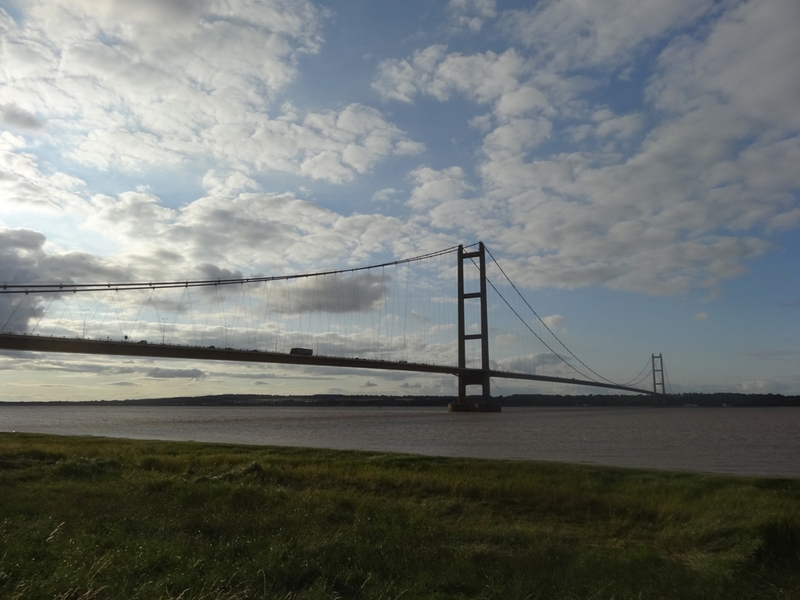 From Lincoln we drove straight towards the Humber Bridge. Before crossing it we stopped at its base on the south side of the Humber River. From there I could finally admire the elegant crossing in its full glory. I wasn’t disappointed in the slightest as it looked truly spectacular in the low light of the setting sun. 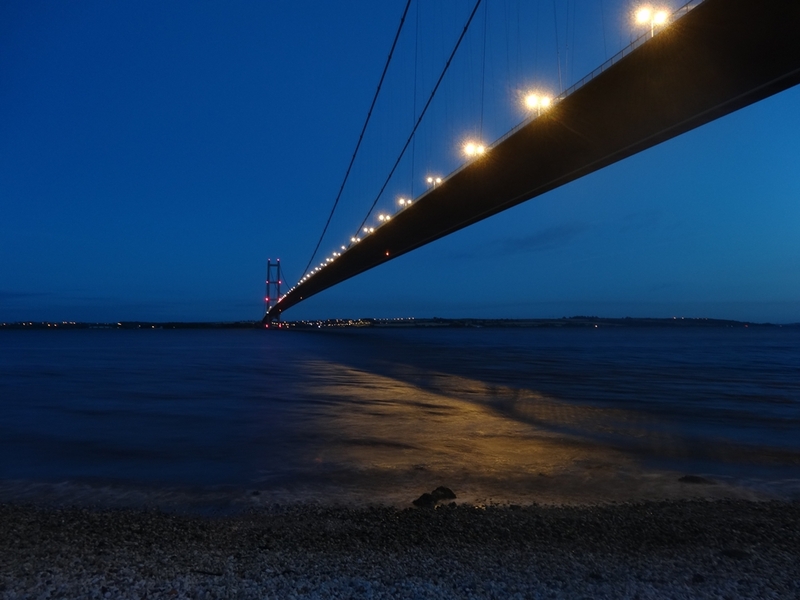 Sure, the Humber estuary might not be the Golden Gate but the bridge itself still looks pretty cool. It gives the impression of a light and slim structure. The bridge held the record for the world’s longest single-span suspension bridge for 16 years from its opening in July 1981, until the opening of the Great Belt Bridge in June 1997. It still remains the longest single-span suspension bridge in the world that one can cross on foot or by bicycle. One of the trivia I particularly like is the fact that the towers, although both vertical, are 34 mm (1.3 inches) farther apart at the top than the bottom due to the curvature of the earth. How cool is that! After crossing to the north side of the Humber we stopped in a nearby small B&B which we booked for the night. Before you ask, yes, our bedroom did have a view of the bridge. 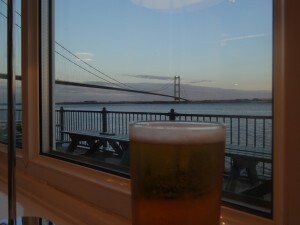 We then had dinner in the local pub which also offered a great view of the illuminated bridge. The following morning we went to Kingston upon Hull itself. I have to admit that from my British born friends I heard so many bad opinions and stories about the place that I almost expected something resembling Detroit rather than the quite pleasant city that we found. Admittedly, we only spent a few hours in the centre of the city, but during that time I found it quite a pleasant place, with some interesting buildings. The first one was the Hull Maritime Museum which is located in the rather ususually triangular shaped former Dock Offices building. It is a beautiful Victorian structure with many symbolic maritime features inside and outisde. The displays explained Hull’s fascinating maritime history from the 18th century to the present. Just a few yards away we spotted the enormous building of Kingston upon Hull Guildhall. It is so big it takes up the entire sizable city block. Built in the beginning of the 20th century it is beatufully decorated with multiple sculptures, many of them maritime or classicaly inspired. We decided to get inside and and check if it is possible to have a look at least at the main entrance hall. Unexpectedly we were welocmed by two councillors (one of them a former mayor) who, after a short conversation, offered us a private tour of the building. We simply couldn’t say no to such a great offer and the lovely elderly pair led us on a tour of the interior which contains acres of marble floors and miles of oak and walnut panelling. 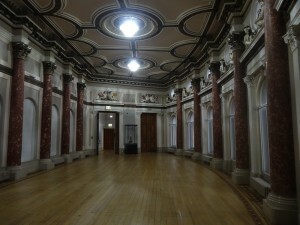 They took us to the great banqueting hall, private mayor’s office as well as to the main debating chamber. During the entire tour they provided us with lots of history and trivia. The whole experience reminded me of my tours of quite a few state capitols in the US. 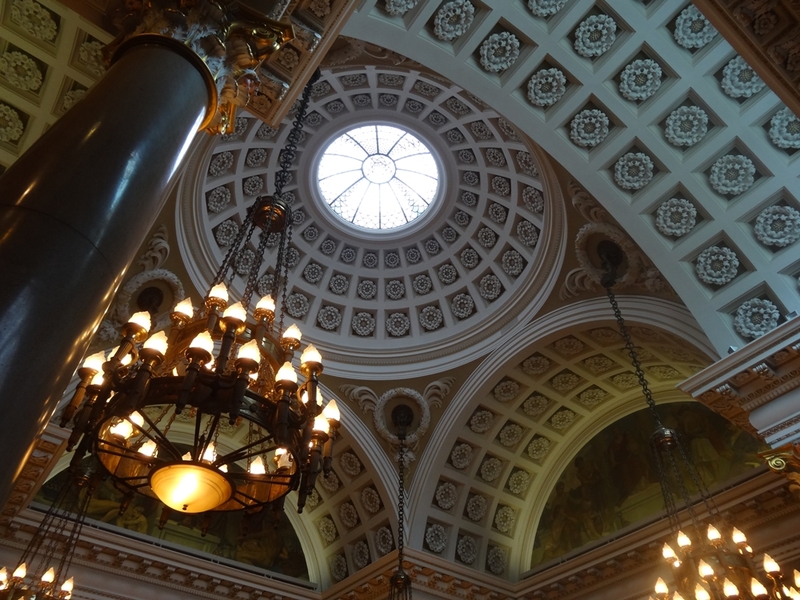 The same grandiose interiors, lots of symbolism in paintings and statues, and enthusiastic guides. From the guildhall we walked to nearby St Mary’s Lowgate Church. It is a small but old and beautiful Gothic church. Nobody knows when exactly it was built but most likely some time in the late 14th century. Lovely as it was St Mary’s pales in comparison with the Holy Trinity Church. Located a few hundreds yards to the south it is the largest parish church in England and it dates back to about 1300. The church was founded by Edward I when he decided to build a city on the strategic Humber Estuary. This remarkable structure is the only building to survive from the original “King’s Town” and has been described as the significant pattern for all subsequent parish church buildings in the Perpendicular Period. What I found the most amazing is how bright and airy the interior was. Tall colums and huge windows provide plenty of light to admire beatifuly carved wooden pews and spectaculary painted colourful ceilings. Pevsner described the building as coming close to an “English late medieval ideal of the glass-house” and I have to say he is spot-on in his description. 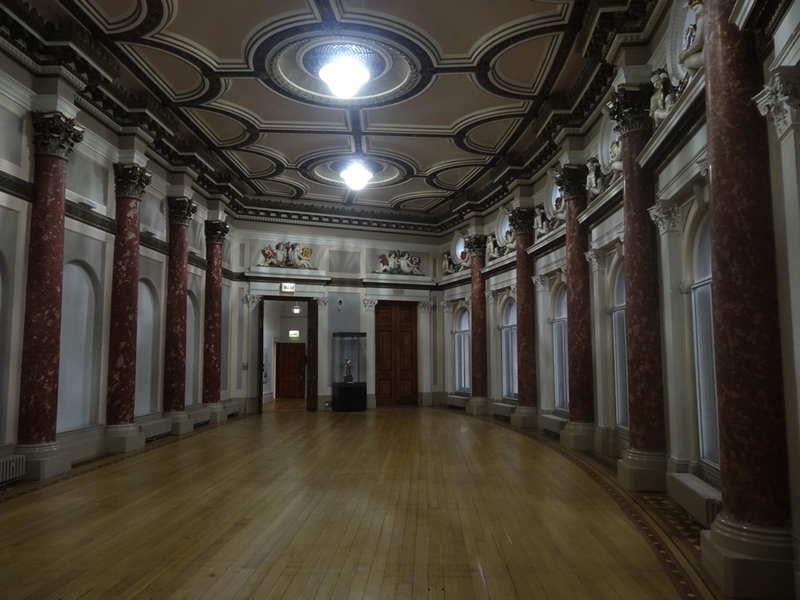 We could have spent more time admiring the interior but we realised that our parking fee was going to expire so it was time to move out of Hull. 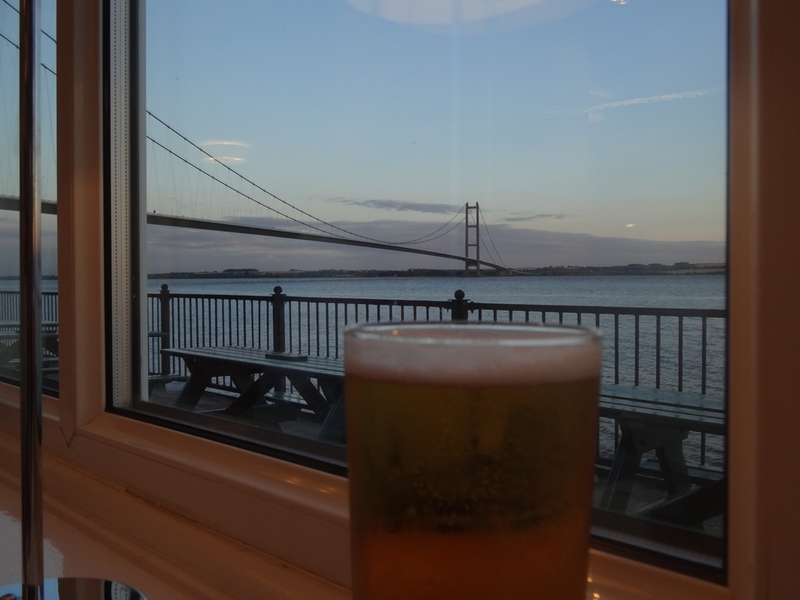 Overall I was postively surprised with Kingston upon Hull. Maybe it was due to my relatively low expectations but I actully liked it. 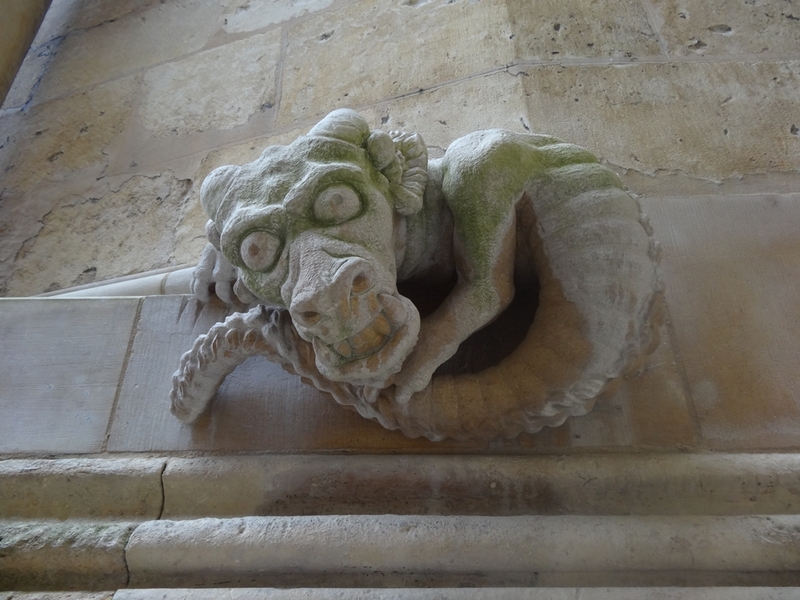 There is more interesting historical architecture than I expected, especially the amazing Gothic churches or the spectacular Guildhall. 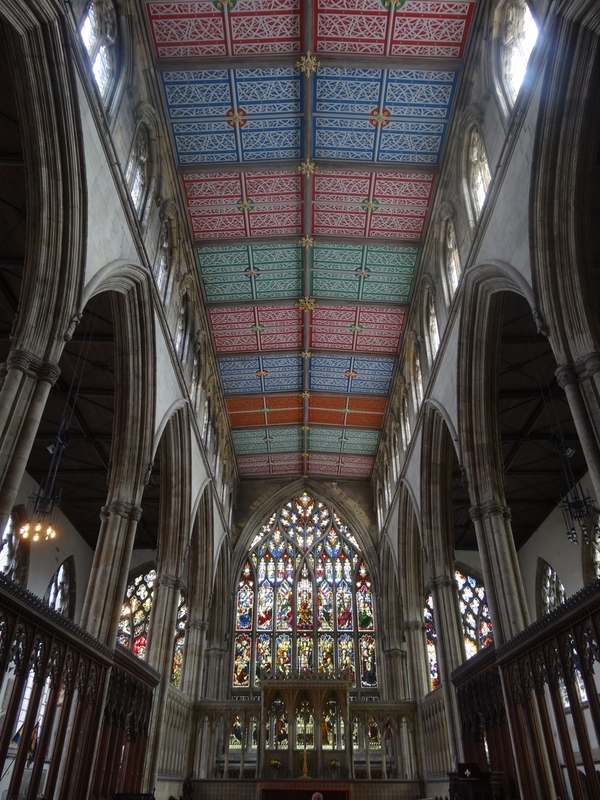 This trip so far offered a good mix of history (churches) and modern engeenering (Humber Bridge) and there was still more to come as we were now heading north to the heart of Yorkshire. But that’s subject for another story. 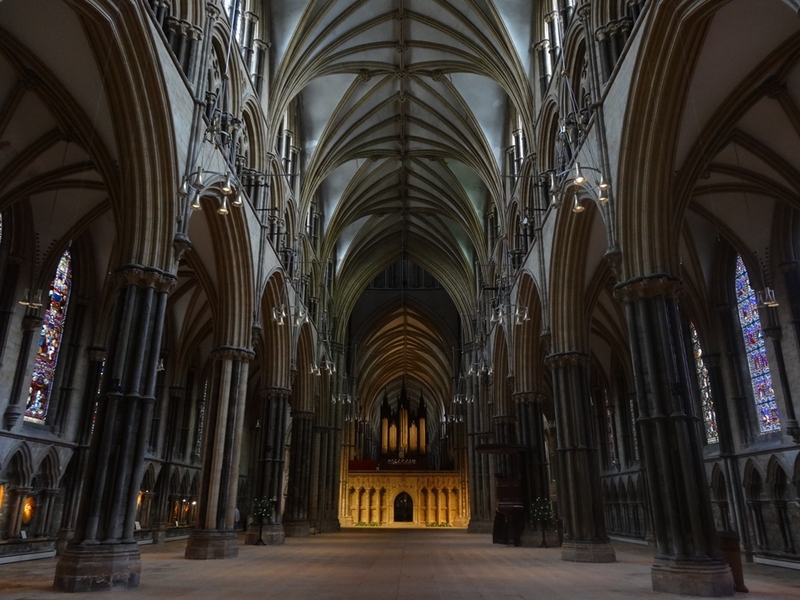 This entry was posted in Uncategorized and tagged Holy Trinity Church, Hull Maritime Museum, Humber Bridge, Kingston upon Hull, Kingston upon Hull Guildhall, Lincoln, Lincoln Cathedral by Geogregor. Bookmark the permalink.